A list of invited participants (photograph and key). 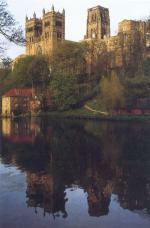 Programme of the Durham Symposium "Methods of Integrable Systems in Geometry". Online proceedings of the symposium. Movies and pdfs of talks and posters. Consists of the Programme Committee together with J. Bolton (Durham), R. Miyaoka (Kyushu), Y. Ohnita (Osaka City University), W. Rossman (Kobe).